Your managed services team in Boca Raton can create an infrastructure for remote mobile activity by managing a BYOD policy. It allows your company to cut enormous costs on hardware and put the money into other areas of business. But in order for a mobile solution to make sense, you need to strengthen security with MDM and set sound policies that reduce the chances of a breach. Relying on each employee to manage their own security raises too many issues of inconsistencies in software and various levels of understanding about cybersecurity. Another benefit of using an MDM solution is that it can automate tasks such as software updates that have been traditionally considered tedious. One of the most important reasons why IT services providers in Boca Raton use MDM technology is that it gives them central control of devices on a business network. It allows them access to controls, data, security and applications. MDM gives IT security officials the power to lock a device if it is lost or stolen. They can also remove data remotely and reinstate it once the device is found. Security officials will have control of the applications and websites users can visit. In other words, they can blacklist certain sites and programs, particularly those that are outside the scope of your industry. Ultimately, they can monitor your system and block any intruders that don't have permission to access the wireless network. 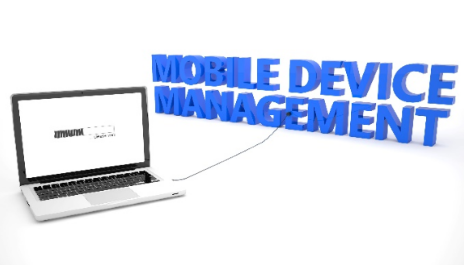 MDM software comes with reporting tools that allow you to analyze your mobile environment in real-time. That means: at any time, your IT team can investigate the status of a device, log-in activity, and user data. It lets you pinpoint which employees are compliant with company policies, such as those involving authentication and how to use both internal and external digital resources. Many businesses are interested in creating mobile workplaces because it allows for more flexibility. A BYOD policy can help save money. But in order for it to be secure, you need MDM software and an IT services team in Boca Raton to monitor your network. Contact us at Nexxen Technologies, Inc. to learn more about how we can create a safe mobile environment for your business.